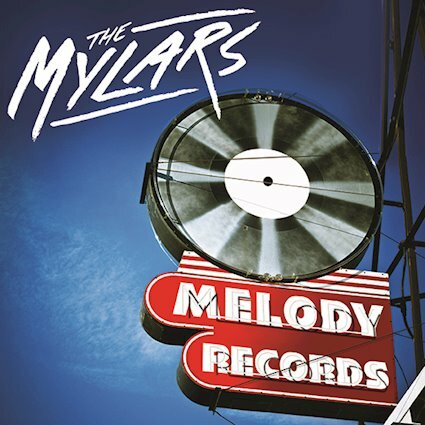 If Rick Springfield and Bruce Springsteen teamed up, the result could very well be the debut album "Melody Records" from American rock band The Mylars. This is a really great album with a perfect blend of power pop and heartland rock, the first single "Forever done" is just one of 9 classic rock songs that belong on a playlist together with John Mellencamp, Waltham, Danny Wilde and Marvelous 3. The band is Danny Roselle (ex.Crash Moderns) - Vocals/Guitars, Quig - Bass/Vocals , Chris O´Hara - Drums, Dan Rainey - Lead Guitar and Nick Polito - Keyboards. These guys put the melody in the centre of the song and I totally surrender when I hear the flirt with The Cars in "Let´s Go", but ask me next week and I have a new favorite song from "Melody Records".